Commonplace Coffee has always cared about people. It’s the foundation upon which our company has been built. As our organization and the specialty coffee industry grows, it’s important for us to continue to check in with our mission and values. Sometimes these “check-in” moments are the result of new opportunities presented during times of change. This was the scenario when we met Kyle of Osito Coffee. At the time, we were looking to become more involved with the people who create our supply chain but hadn’t yet found a good avenue. We felt a strong connection with Osito Coffee after our conversations and meeting with Kyle. The timing was so right and the connection so immediate that together we began planning our first origin trip. As Dave Smallhoover, Manager of Commonplace Coffee Point Breeze, prepared for his travel with Osito Coffee, we talked about the purpose and goals for the trip. Were we contracting for new coffee? Learning more about coffee-growing regions? Deepening partnerships within our supply chain? We wanted the trip to be built out of intention and certainly didn’t just want to end up with some nice, albeit expensive, photography. The general consensus was that we would focus on the people of our supply chain. Prior to his departure, the vagueness of that goal was somewhat concerning for Dave considering how important this trip was to both Commonplace and Dave personally. 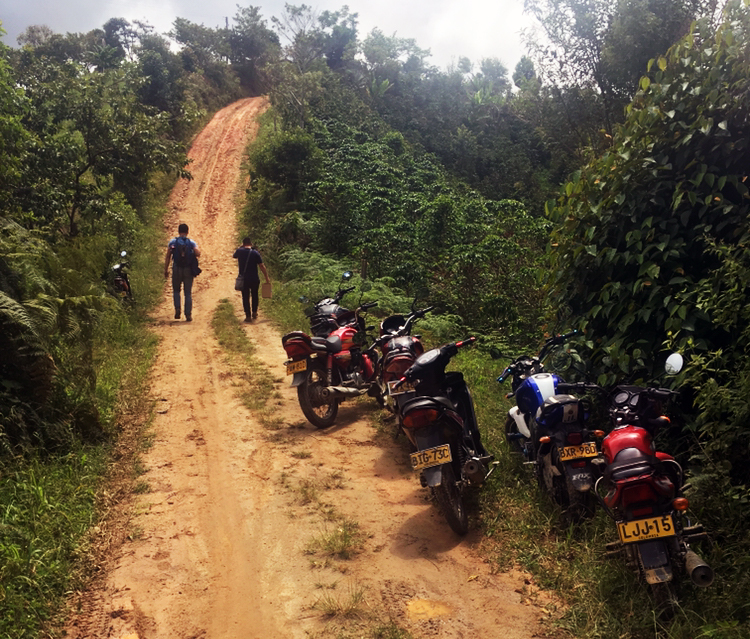 While in Colombia, Dave experienced the care that was shown in every interaction from passerby conversations to in-depth business discussions. It was apparent that this care was shown through accountability. The trust that’s found within this supply chain is second to none. Everyone wants to build strong relationships, and that means being able to rely on one another. 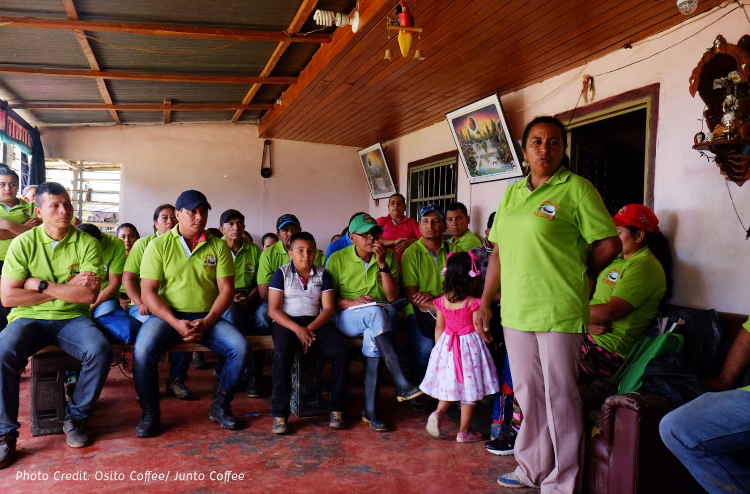 The people he met while in Colombia should be highlighted for their progressive stance, within coffee-producing regions, on the benefits that are felt through the collective. The groups he met hold each other accountable, which can in turn have a significant impact on their community as well. It’s these values that stand in line with Commonplace values, and we wanted to highlight them because of what they mean to us and this industry. Co-founders and partners Kyle and José own the importing and exporting business Osito Coffee and are responsible for making this trip possible. Though their business and while on this origin trip, they showcased great care for their supply chain. From the very beginning, as Kyle explained their history and current projects, we knew immediately that their values were consistent with our sourcing aims. Since we began our relationship with Osito, they’ve introduced us to a group of promising young farmers in San Agustin, they continue to work under a different pricing structure aimed at creating greater certainty and sustainability for farmers, and they continue to work with Divino Nino Cooperative to support collective action. Osito’s business structure is based upon intimate knowledge of the coffee supply chain. Together José and Kyle own and manage a farm. José has been in the coffee industry his entire life with years of experience at the cooperative level. Kyle built his connection with coffee through his Connecticut roastery, NEAT Coffee. The supply chain knowledge that exists between the two has led to a symbiotic relationship that allows them to focus on the heart of the industry, the people. Meeting this group was the defining moment of Commonplace’s first visit to origin. We already contracted coffee from Divino Nino before visiting, so there was excitement to see how the organization operated. We also had hopes of using the in-person meeting as a step toward forming a more long-term partnership. Divino Nino is a community that benefits from collective action and cares for the integrity of the group. With many group dynamics at play, it takes understanding and passion to increase quality across the organization. As we continue this partnership with Osito Coffee and the Divino Nino Cooperative, our hope is for long-term commitments that will allow their passion to flourish. These young entrepreneurs constitute a more informal producer group with which Osito Coffee has recently begun work. This particular visit served to represent many firsts and hopefully a burgeoning future for all involved. For Commonplace, it represented a deeper connection to origin; for Osito Coffee, their first purchase from a young producer group; and for these young producers, an opportunity to represent the future of specialty coffee. The average age of a producer in the region is 56. Many younger generations of coffee producing families have sought work in other industries because of the lack of profitability and long-term sustainability in coffee. 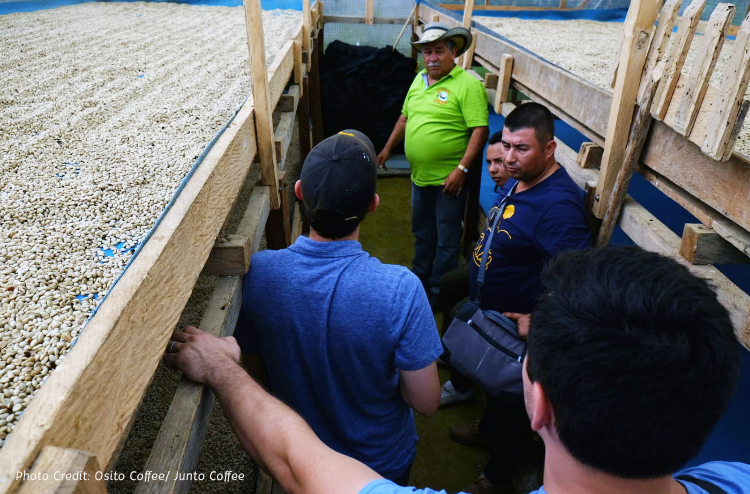 The aim for partnering with this group is to work on challenging the status quo in our sourcing practices and industry and to offer our community a coffee that continues to evolve. As we move forward, Commonplace will strive to be open with our community and our partners regarding our sourcing practices. This trip offered many eye-opening moments, which will continue to inform how we better interact with our supply chain and coffeehouse guests. We are learning just as our partners are learning, which is what makes it so great to work with them. Divino Nino Cooperative wants to ensure their coffee is serving the final customer well. 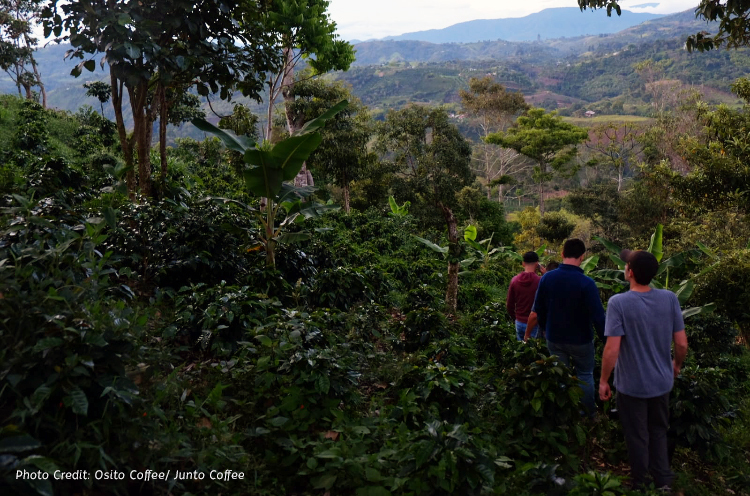 The young farmers of San Agustin are out to prove the specialty coffee industry is worth the investment. Osito and Commonplace want to serve the people around us so we can continue to offer incredible coffee, and our partners can continue producing it with such care. Want to know more about sourcing? Let us know what questions you have. We enjoy talking about our sourcing practices, (Dave in particular) and we also want to learn from our community. These projects will continue to evolve, and we would love for you to be a part of it! This is just the beginning.